Flores Island in the eastern side of Indonesia hides away tons of jaw-dropping destinations such as Komodo dragon, Crater Lake Kelimutu, traditional villages, wonderful underwater world, scenic views and also waterfalls. One of the must seen waterfalls is Cunca Rami Waterfall. 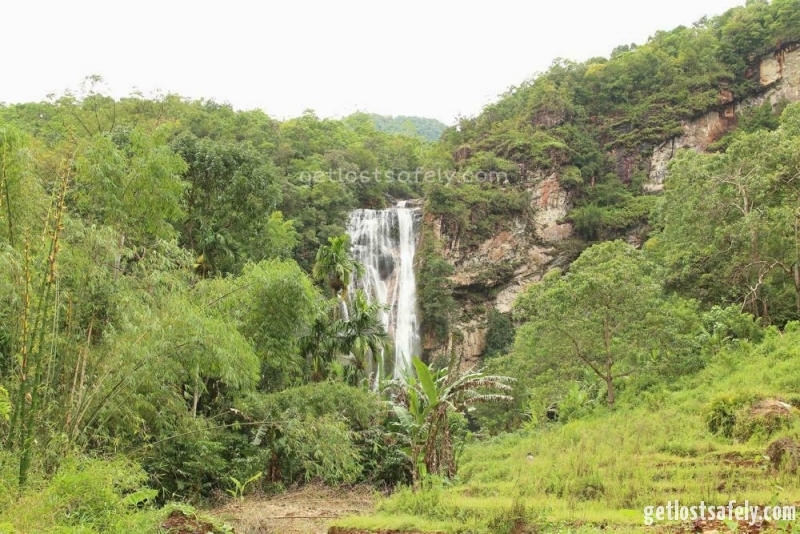 A 30 meters waterfall located in West Manggarai District, Labuan Bajo, East Nusa Tenggara, Indonesia. 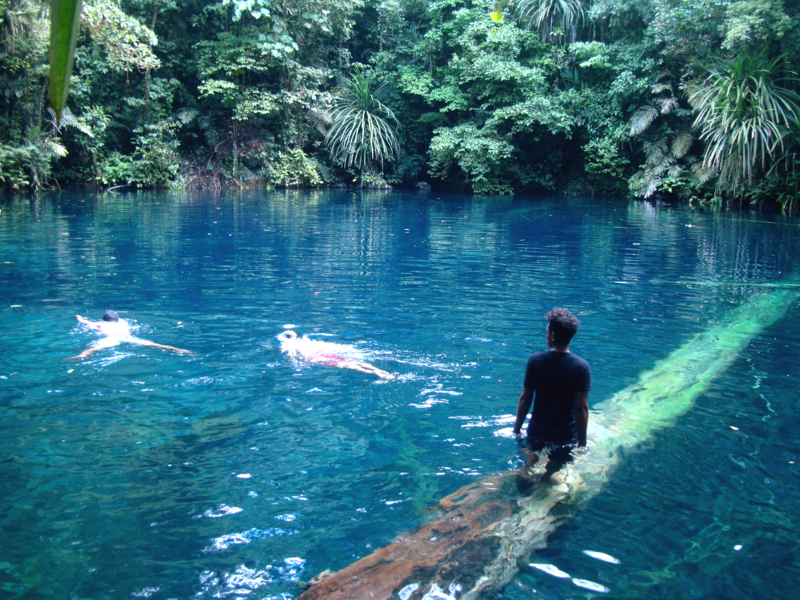 The name of the waterfall is taken from the local language in Flores. 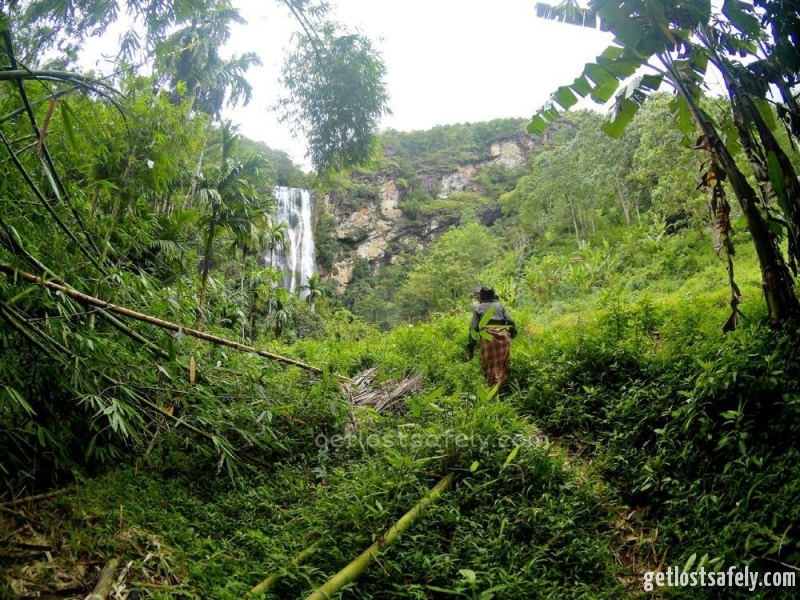 Cunca means ‘waterfall’ and rami means ‘jungle’, overall the meaning of Cunca Rami is waterfall in the jungle. The waterfall is located in the depth of Mbeliling Forest, or I would call it as Mbeliling Jungle. It is mostly untouched and pristine. 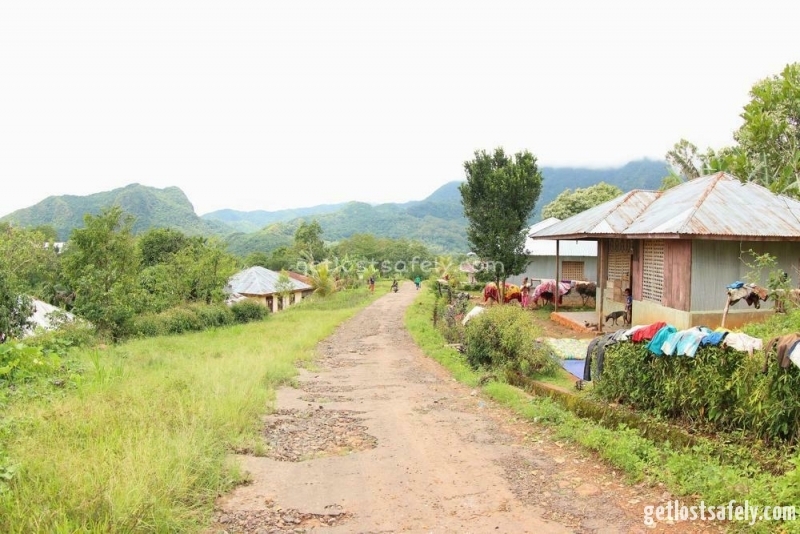 Mbeliling located in Cunca Lolos Village, West Manggarai, Labuan Bajo at around 1200 m above sea level. Cunca Rami has an enormous water debit though, especially on the raining season. When I stood next to the waterfall, my clothes were wet and I couldn’t take nice photos of the waterfall due to the water splash that fog my lens. 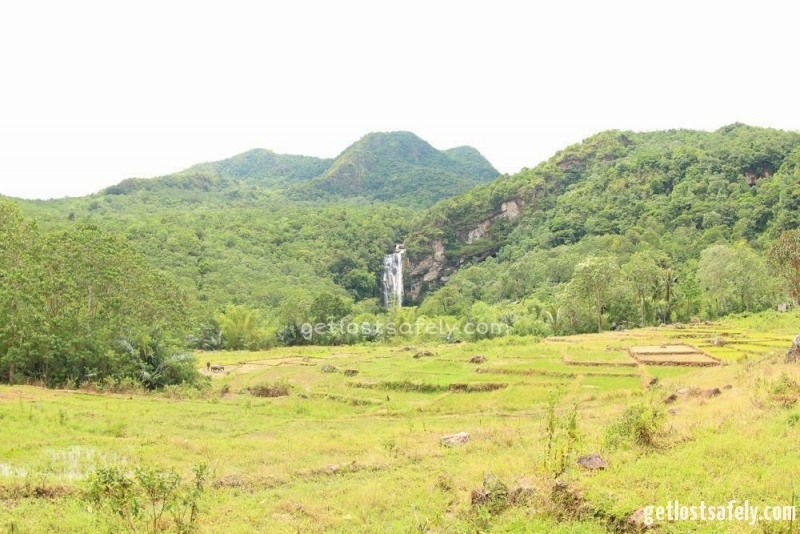 There are several ways to get to Cunca Rami Waterfall, I went there from Labuan Bajo, read our article to the travel guide Is It Really Expensive to Go to Labuan Bajo, Indonesia? 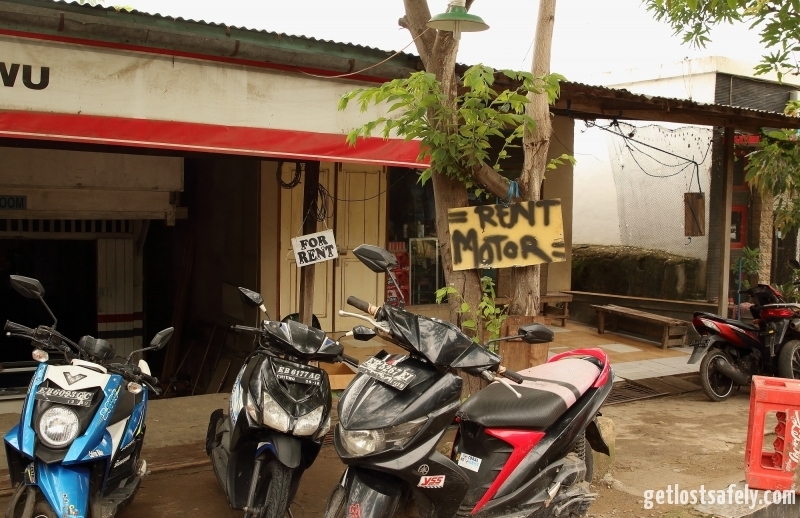 From Labuan Bajo, you can take public transportation or rent a motorcycle that cost 75k IDR (5.26 €) a day. Nonetheless, you have to count the fuel for the motorcyle. I prefer to travel by motorcycle. It is faster and I can stop anywhere I want to take photos, visit other interesting places or to buy fruits that are sold near by the main road. 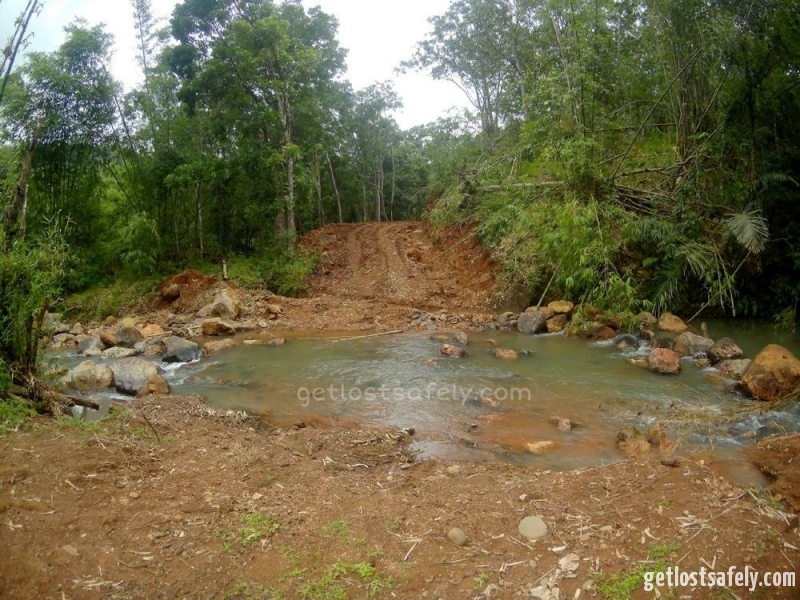 You will drive from Labuan Bajo to Wae Lolos Village around 35 km. It is located in West Manggarai District, East Nusa Tenggara Indonesia. It’s not so difficult to find the road. 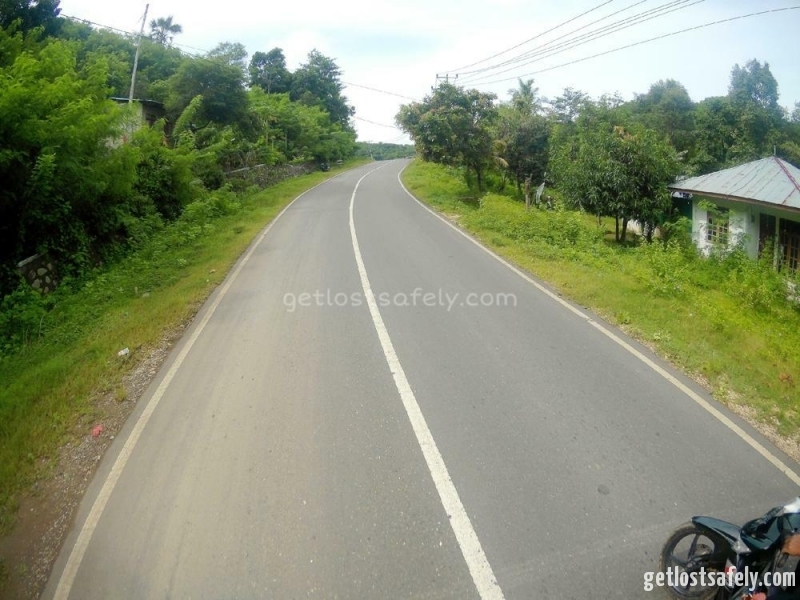 You will just have to follow the trans road from Labuan Bajo to Ruteng. The road was good even though it was sinuose until you reach the crossroad to the village. Afterward the road was holey and kind of slippery. Another way is to take public transportation and stay overnight on a village near by the main road and then trek the forest to Cunca Rami. The disadvantage is that the trek will be longer and take more time. 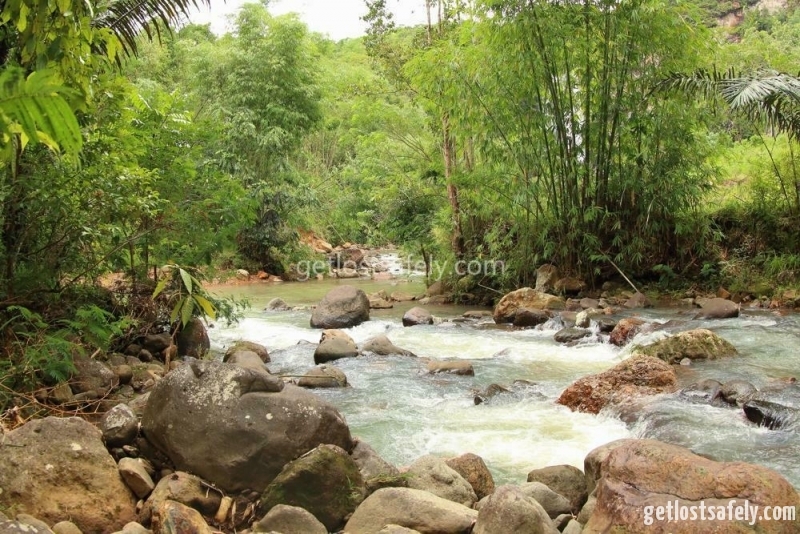 From Wae Lolos Village you will have to park your motorcycle near by the village and walk by foot to the waterfall. There will be lots of people offering you to be your guide. 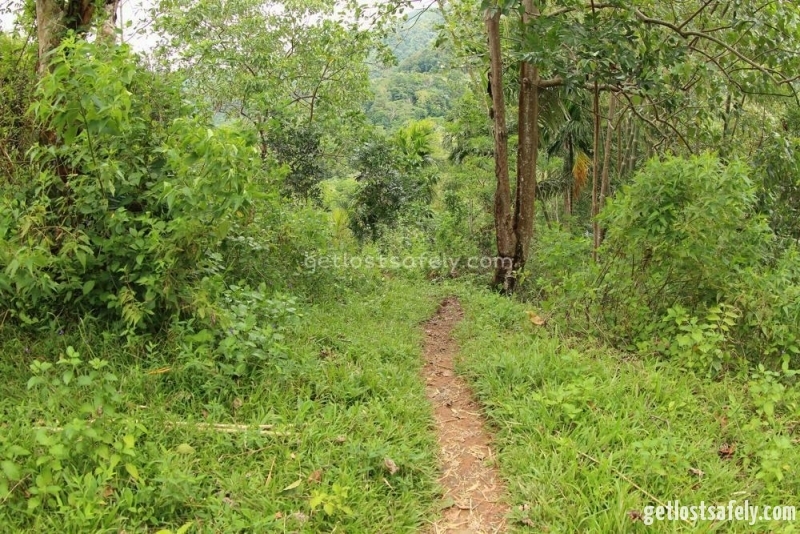 If you were afraid to get lost in the jungle, this would be a good option for you. They charged for 50k IDR (3.5 €) for the service and you don’t have to pay for the entrance. Nevertheless they have such a box where you can donate voluntary. We were walking on our own though, without any local guide. We afraid that we’ll get lost for sure, but there is the fun. Life is not that cool without risking it. So we went through the Mbeliling Forest on a walking path. The path was muddy, slippery and without sign board. There were several crossroads, so we were just trying our luck. Walking path on Mbeliling Forest. Photo. The trekking way is downhill and pretty tough. It will take around 45 to 1 hours depending on your walking speed. I made a horrible mistake, I thought that there was a nice paved road to the waterfall that I put sandals on. In the end I had to walk on that, reducing our speed. Then we heard the water flow and we saw the almighty waterfall just right in front of us. We sped up and saw such a nice rice field, guessing the way to Cunca Rami. After the trekking through Mbeliling Forest you will have to cross over a river. We went there on the raining season, as a result the water debit was high. That was a bit scary. I was scared that I would step into the wrong path of the river and end up wetting the cameras. We succeed to cross it in the end. Then we saw a new made road and a bit confused of that. It looks like going around while the waterfall is just in front of us. There was a local inhabitant coming to us and greeted us. She helped us and showed the shortcut. She was even cutting down the grass that grew to the path and walk in front of us. Then we saw the waterfall, whoa. That huge waterfall is so elegant. Under the waterfall is a blue round pond-like, where you can swim. It was a shame that the weather was not so good, it was cloudy. We stayed there for a while and then it started to rain. So we took shelter, accompanied by a local woman who lives near by the waterfall. We waited for like 30 minutes and decided to go back before the water debit gets higher. The way back is uphill and it will take longer time for sure. We planned to go to Cunca Lolos which is close to Cunca Rami, but due to the weather we cancelled the plan. And we rode back to Labuan Bajo. 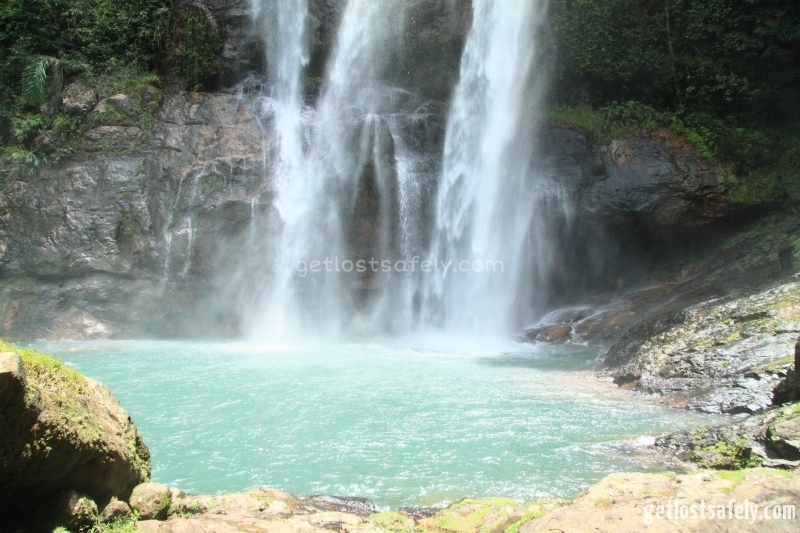 Another waterfall that is not so difficult to reach is Cunca Wulang, it is even closer compare to Cunca Rami. 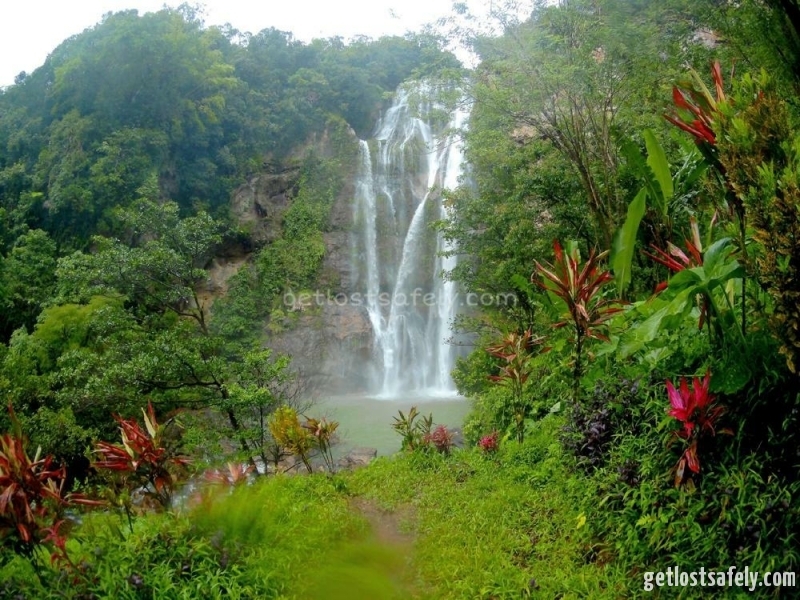 Here are some photos from Cunca Rami Waterfall, Flores, Indonesia. Some of them are available on Dreamstime stock photos. If you’re interested in buying the photos, check out the link we provide on the description under the photo. Colorful plants and the Cunca Rami Waterfall. 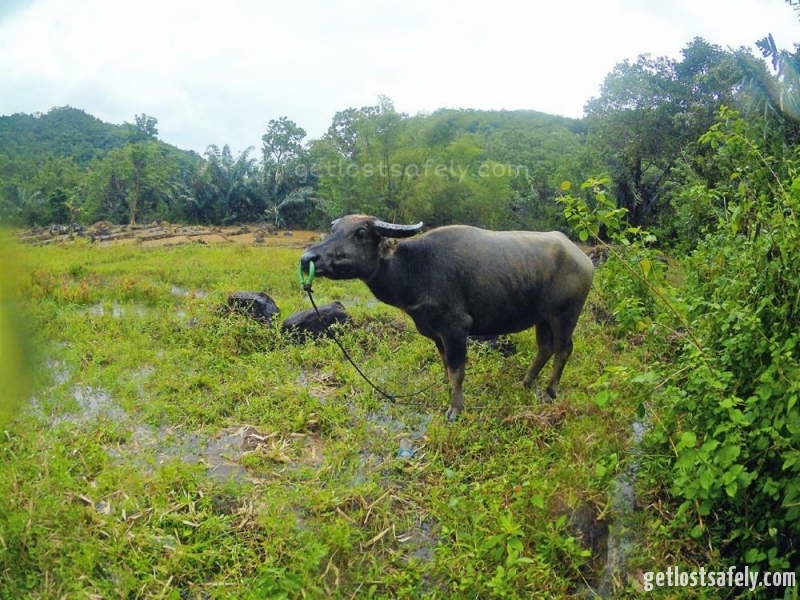 Buffalo I met on the way back from Cunca Rami. More photos please visit our Photo Gallery and for other destination you have to see in Labuan Bajo visit our article 7 Destinations to Visit in Labuan Bajo. Prepare your strength the trip is long and tiring. Put on trekking shoes, that will help a lot. Bring water and energy bar or some food, better to take it from Labuan Bajo. It would be a bit difficult to buy it at the village. Around the waterfall is just rice field and forest, you can buy anything there. Put on insects or mosquito repellent. Better not to go there on raining season.